After turkey and all the trimmings, there's often little room left for pudding. A traditional Christmas pudding isn't the lightest kid on the block, so for those who want something a little lighter, here is a selection of alternative Christmas puddings. But, be warned, some may be light, but they're also deliciously rich and decadent, making them perfect for Christmas. A traditional English trifle is easily the British number two pudding for Christmas. There's something frivolous yet decadent with all that custard, cream, fruit and Sherry. This deliciously decadent cake filled with chocolatey goodness is a favorite at Christmas. It may be rich, but it's still remarkably light thanks to the sponge roll base. The log is often favored over a traditional Christmas cake, but can be served in place of a pudding, though you can even have both. Why not, it is Christmas, after all! Scottish Cranachan is a truly festive recipe. It's perfect for Christmas, Hogmanay, and rounds off a Burns' Night Supper beautifully. To be authentic, it is good to use Scottish raspberries and Scottish heather honey, but don't worry if you can't find Scottish, the wonderful ingredients in the Cranachan taste great together if you use alternatives. Tipsy Laird—also called Typsy Laird—is the Scottish trifle dessert served on Burns Night, but works equally well for Christmas. 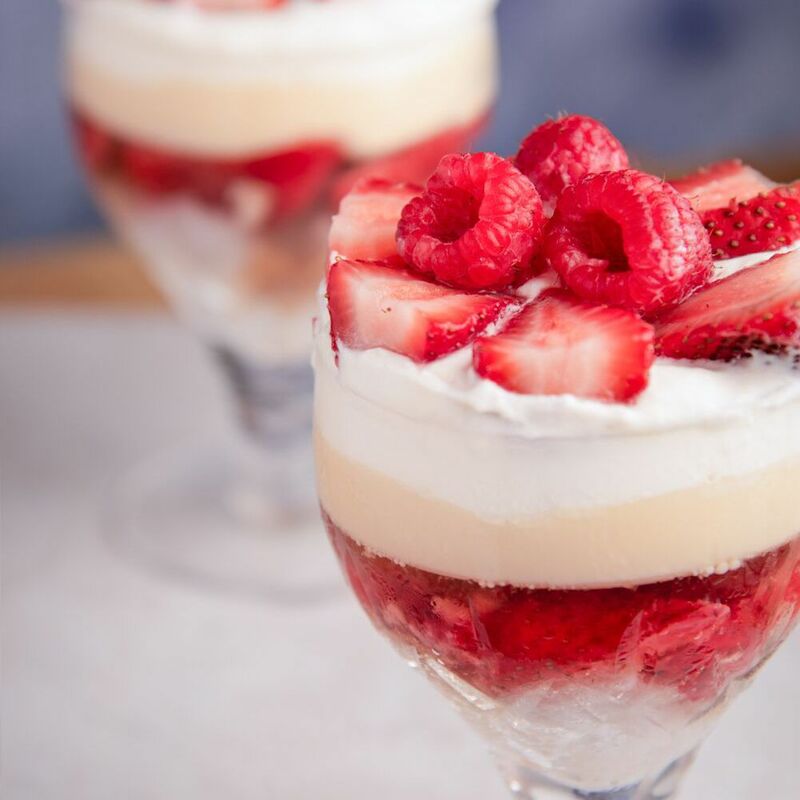 It's essentially the same as trifle, but with whisky not sherry, and Scottish raspberries. This version is quick and easy to make using ready-made custard or custard powder following the packet instructions. Use Scottish raspberries if you can for complete authenticity. On any list of desserts, chocolate must make an appearance. This decadent chocolate cream is a wholly indulgent recipe for a quick and simple dessert that's perfect for the Christmas table.